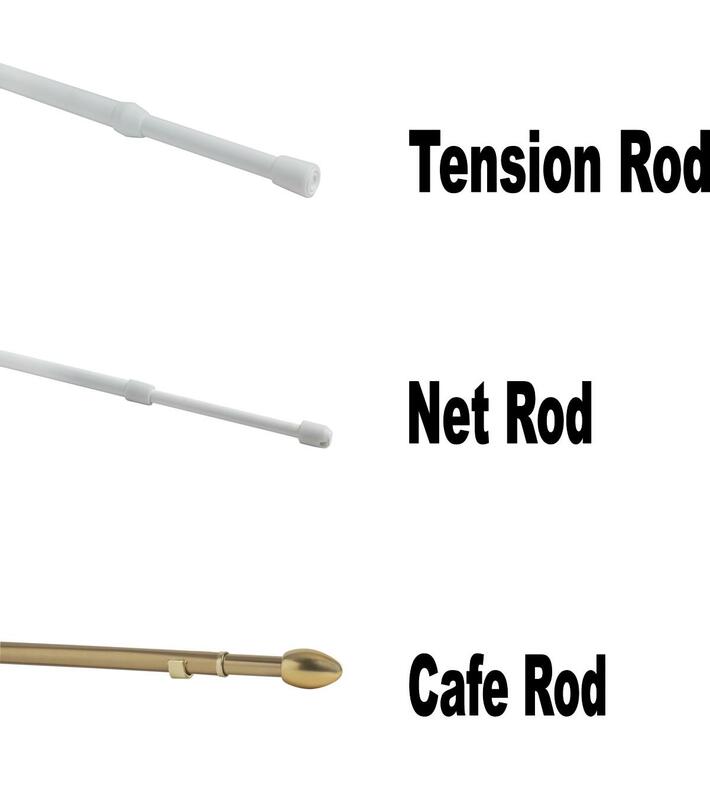 We are often asked whats the difference between TENSION RODS, NET RODS AND CAFE RODS. A Tension Rod, is usually a rod with a spring inside so it needs no extra brackets or supports to help it stay in place. A Tension Rod is extended to a few millimeters wider than the recess its going into, its then squeezed into the gap. The tension on the spring will keep the Tension Rod in place. These are for use with light weight Net Curtains or Voiles. They are not intended for lined or medium/heavy curtains. Sometimes a Centre Support is required to stop the rod from sagging in the middle. A Cafe Rod is a little different. These usually are more decorative and need brackets to work. (Which are supplied with the Rod) These are usually used where people need a small rod, for smaller nets, voiles or Cafe Nets.